You won’t have any troubles getting top cash for your unwanted car in Adelaide. Give Ezy Car Wreckers a call, and we’ll make you an offer up to $15K. Ezy Car Wreckers offers an easy cash sale for unwanted cars. We are a removal company in Adelaide that buys unwanted cars. Suppose the car is deteriorating year after year. Don’t let it deteriorate any longer. Give us a call. Perhaps, your unwanted car is a second car that you’d like to sell for cash. Give us a call and get top cash up to $15K for the car. 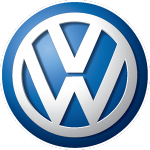 We are the car buyers that make selling your car easy. Old, damaged, wrecked, scrap, or just unwanted? Get it sold today at Ezy Car Wreckers. We are the buyer of unwanted cars that will pay up to $15K Cash for your Uunwanted car in Adelaide. When there is no need for the car, or you have it for sale, don’t pass up a call to us for a quote for your car. Whatever its condition, we will buy it. Have your accident or damaged car wrecked with us for cash; or, have your scrap car recycled with us for cash. We pay top cash for unwanted cars Adelaide. Why sell your car to a third buyer when costs and time are involved? Why sell your car to a removal company in Adelaide that doesn’t provide courtesy removals? At Ezy Car Wreckers, you get top cash for your car and free car removals. We are the local Car Removal Company in Adelaide that buys unwanted cars and removes them at no cost. A legitimate car buyer that pays top cash and guarantees courtesy services that make selling a car easy… One that does away with the hassles of selling a car… One that is established in the community… These are a few reasons why car owners choose Ezy Car Wreckers for the sale of their car. Ezy Car Wreckers are expert Car Wreckers Adelaide based company having a team of professionals that are committed to providing car owners with the easiest way to sell their cars. We are appraisers, technicians, and wreckers that know how to value cars for top cash as we know how to get top cash out of the cars. When we are your car buyer, you can count on selling your car for up to $15K with no hassles or costs! 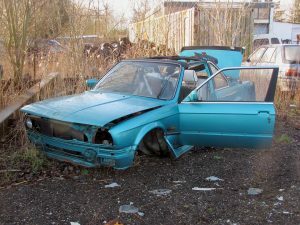 Give an Ezy Car Wreckers a call with the make, model, year, and a complete description of your car for sale for a quote. Car owners have the option to contact us over the phone or online. Take us up on our offer, think it over for a few days while you shop around, or reject it. Schedule a free removal. Car owners that accept our offer will have the option of when they’d like us to arrive to buy and remove their cars. With Ezy Car Wreckers, it is that easy to get your car sold. With quotes that reach up to $15K Cash, it isn’t hard to convenience most car owners to give us a call for a quote. We provide quotes over the phone and online. Call us at the number below or fill out our online form at the top right of this page.